Have you had your Zeal Wellness today? Zurvita has rebranded its products with new vibrant packaging, however the formula’s nutritional value we have come to expect, has not changed. We offer flavors which are Gluten Free, Vegan and Kosher and come in an easy to use powder. Just mix it with your favorite cold beverage and drink it! Do not worry, the original Wild Berry formula is still available! You can feel more vibrant and energetic, fueling a life of real purpose and significance. Zeals’ balanced nutrition can be a foundational support to good health, proper energy levels and successful weight management. Below is based on new formula. For complete nutritional fact sheets click here. Do you Prefer the Original Formula below? It is still available here! 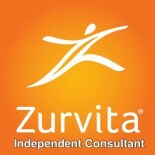 This entry was posted on May 23, 2016 by Zurvita.com/HealthRoads in Functional food, Ingredients, Nutrition, Nutrition and Wellness, Weight Loss, Zeal For Life, Zeal For Life Products, Zeal Samples and tagged acai, Alfalfa, Aloe vera, Aloevera, Aminoacids, antioxidants, Ashwagandha, bacopa, body building, buy zeal, chlorella, Cholecalcipherol, Energy, enzymes, Fennel, Focus, Ginseng, Gluten Free supplements, goji berry, GojiBerry, Gotukola, grape seed, healthy, healthy food, Healthy Lifestyle, kosher, Kudzu, methylcobalamin, Micronutrients, milk thistle, minerals, Moringa oleifera, muscles energy, niacinamide, noni, Noni juice, Nutrition, Phytonutrients, stevia, turmeric, Veganism, vitamins, Wild blueberry, zeal weight management.